In order to become the most efficient and effective in the Visual MODFLOW Flex environment, it is recommended that you familiarize yourself with a few simple concepts, terminology, and where you can find and access things. •Imported: From polyline or polygon shapefiles, wells from a spreadsheet, surfaces from Surfer .GRD, etc. •Horizons, Structural Zones, Property Zones, and Boundary Conditions. •Input: Numerical Grid, Properties (Conductivity, Initial Heads, etc..), Boundary Conditions (a group of river cells, drain cells, pumping well cells, etc..), Observation Wells, Zone Budget zones, and Particles. •Output: Calculated Heads, Drawdown, Pathlines, etc. Each data object will have a check box beside it, allowing it to be displayed in different 2D/3D viewers. Data objects can be re-ordered, renamed, or grouped into data folders. To create a data folder, right-click in the Data are Object explorer and select New Folder. 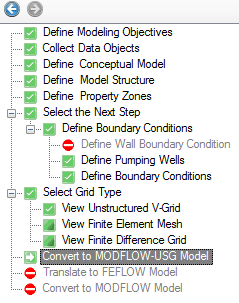 Data folders can be renamed; however, in the current version of Visual MODFLOW they cannot be moved. 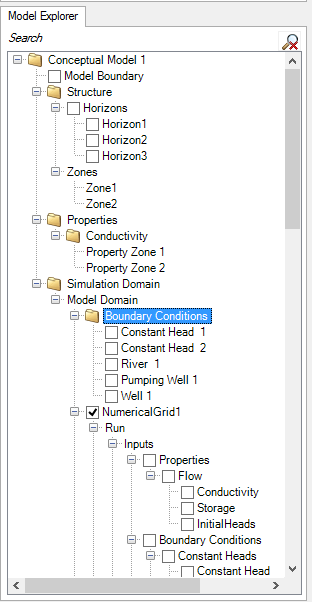 Many wizards and dialog boxes in Visual MODFLOW Flex require you to select data objects from the Data Explorer or Conceptual Model Explorer, e.g., when defining horizons, creating property zones, and assigning attributes to boundary conditions. When you see a Blue Arrow located next to an input field in a dialog box or a wizard, this means that a data object selection is required. Simply click the appropriate data object from the Data Explorer or Conceptual Model Explorer and then click the Blue Arrow button to insert the data object into the input field. 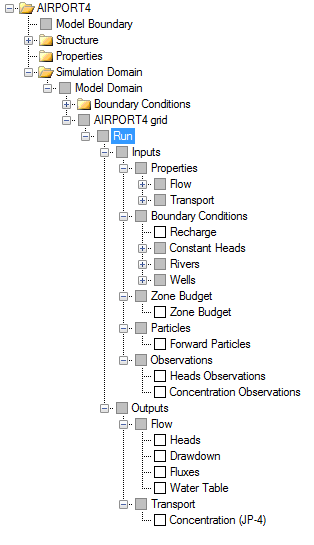 The Model explorer contains all of the conceptual models and numerical models, and corresponding data objects for your project. To help you locate items in the model explorer, we have included a search option which will automatically filter the items in the tree based on what you type. •2D View: Plan view; ideal for GIS data, surfaces, well locations, images, etc. •3D View: Ideal for data that have X,Y and Elevation (Z) values defined: Structural Zones, Wells, Pathlines, Heads along a cross-section, etc. 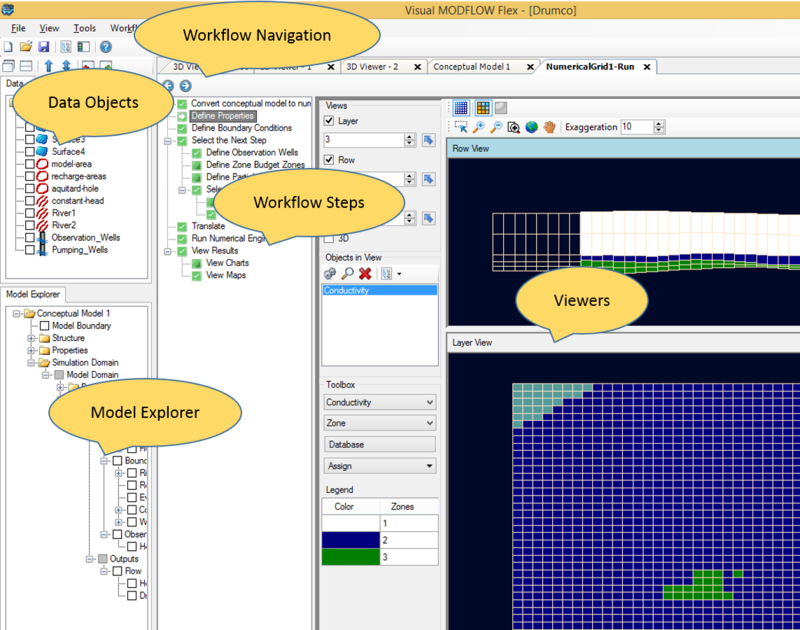 •The "Flex" Viewer: which is available in the numerical modeling workflow, and consists of a combination of a Layer, Row and Column view and 3D View; the individual views can be shown/hidden. •Accessibility: all the actions you need are available at your fingertips; no more hunting for an option deep inside a menu. •Convenience: modeling is iterative and requires a frequent amount of flipping between input, run, and results. The workflow GUI simplifies these back-and-forths. In Visual MODFLOW Flex, there are separate workflows for Numerical Modeling, for Conceptual Modeling, and for PEST (Parameter Estimation/Sensitivity Analysis). 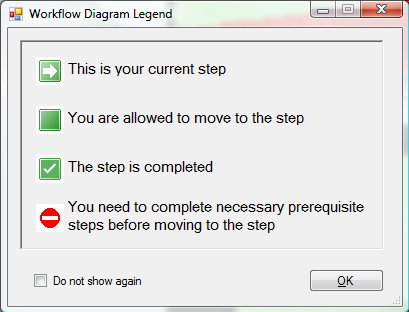 The workflow panel contains a toolbar and a list of steps required for your current workflow. Beside each state in the workflow there is a corresponding icon. The icon helps you to identify which is your current step, which steps have been completed, and which steps you may proceed to next. The image below provides an explanation of this. Visual MODFLOW Flex projects consist of a project file and associated folders with the same base name. For example, if you have a Visual MODFLOW Flex project called "Model", the files associated with it will be "Model.amd" and a folder in the path called "Model". In order to transfer or manually backup a Visual MODFLOW project from one file location to another, you will need to copy both the .AMD file and its associated folder to the new location.